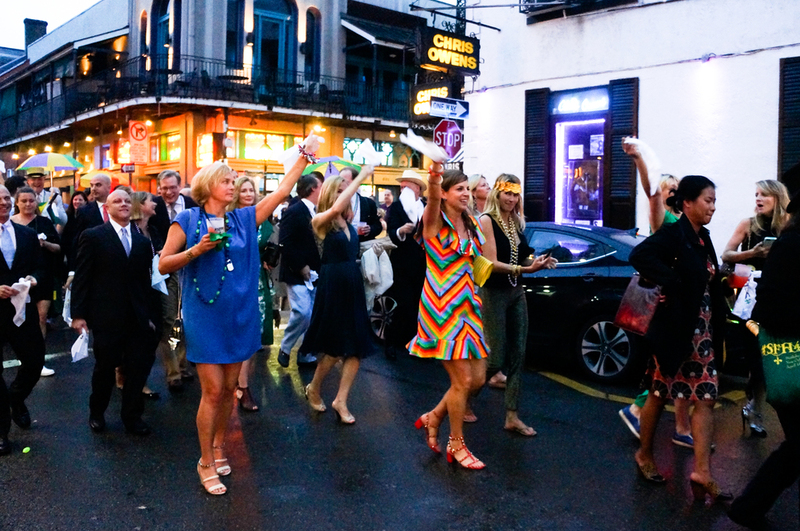 A toast to Sally began at the W Hotel French Quarter courtyard. A second line brass band led the guests dancing through the streets of the quarter to the historic Antoine's restaurant. Cocktails were held in the Capital Room, followed by dinner and dancing in the Japanese Room.